Hearthstone Control Deck Building: I am the Highlander! What’s up lads! 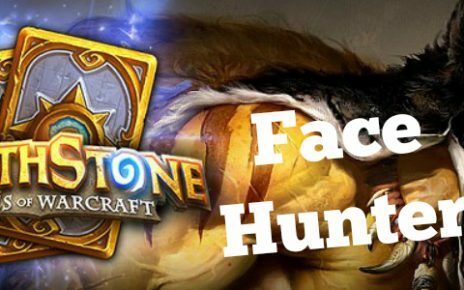 We are back again with another Hearthstone deck building guide. This time we will be looking at another archetype that is quite famous in the game. We have already discussed it and built one deck in that archetype, which is Control when we built the Jade Druid. However, that is only one part of the spectrum. 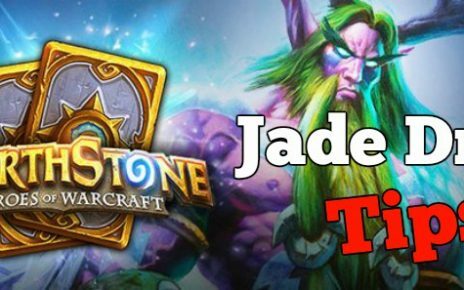 What we are doing today is the direct counter to Jade Druid. We are looking at building the Highlander Priest, with it’s one of each card, this list is quite marvelous and a little bit harder to play and fine tune. It has a very high win rate of 90% at higher ranks which means if you pilot this pack properly, you can expect to move up the ladder really quickly and you might hit your first Legend rank with it. In the words of a wise man, Let’s Get It On!!! Now, the Highlander Priest is a very expensive deck. This is by far our most expensive list due to having one of each card that means you have to craft 30 different ones. Not only that, most of the core cards are Legendaries and Epics which are a necessity to be crafted if you do not have them. The other Legendary minions here can be replaced, but the replacements themselves are other Legendaries or Epics which makes this list hard to complete. However, if you manage to complete the list, you will see yourself in the high ranks in no time. To kick off the list, let us start with the Legendaries needed to craft. The cores are N’Zoth the Corruptor, The Lich King, Kazakus, Raza the Chained and Shadowkeeper Anduin. The none core Legends are Bloodmage Thalnos, Elize the Trailblazer and Cairne Bloodhoof. For the Epics, you will need Shadow Visions, Cabal Shadow Priest, Curious Glimmeroot, Dragonfire Potion, Obsidian Statue and the core card Skulking Geist. Now for the Rares, you will need Pintsized Potion, Eternal Servitude, Greater Healing Potion, Shadow Word Horror, Stonehill Defender, Happy Ghoul and Mind Control Tech. There are only 4 Commons here which are Potion of Madness, Spirit Lash, Priest of the Feast and Tortollan Shellraiser. To complete the list are the Basics. Northshire Cleric, Power Word Shield, Shadow Word Pain, Shadow Word Death and Holy Nova. The Legendaries alone will cost you 12,800 Arcane Dust, which makes the bulk of the expense of this list. Most of these are core cards though so you can never ignore them. The Epics will cost you around 2,400 dust which is the cost of most budget decks. Geist and Obsidian are the cores here but the other ones, are your activators which also serves a lesser role in this deck. Now, on to the play style. This deck is filled with Deathrattle cards. N’Zoth being a core means you can re summon all those Deathrattles when N’Zoth is summoned. That is how you flood the board at the end game with cards like Cairne, Obsidian Statue and Tortollan Shellraiser. Your deck is also filled with a lot of durable minions and your opponent would have a hard time clearing your minions with their low cost board. Skulking Geist is your direct counter to Jade Druids since it destroys all cards that cost 1 mana. You need to use your board control spells sparingly and choose your targets effectively. The combo of Pint Sized potion and Shadow Word Horror is a perfect one if your opponent has minions with 5 attack or less as Pint Sized will reduce all their attacks by 3 and Horror will destroy all minions with 2 attack or less. It can also be comboed to steal a target minion by using Cabal Shadow Priest if you use Pint Sized Potion beforehand. Another way to steal one of your opponent’s board is using Mind Control Tech. If your opponent controls 3 or more minions, it is always a good thing to use Mind Control Tech and hope that you get the bigger minion. A good substitute for Tech is Second Rate Bruiser. It has the same requirements of Mind Control Tech, but instead of stealing a minion, you get your own Taunt on board at a discounted price. The main purpose of this particular deck is to control the board state of your opponent. You also get to manipulate your own curve by playing cards that grant you extra minions or extra spells. Raza is one, he is a 5 minion Legendary but it will discount your hero power to 0. He also has a decent attack and health which makes him durable and stay longer on the board. Kazakus, another Legendary, grants you the ability to create your own spell. The spell you create varies on the choices it gives you and can sometimes be helpful to get you out of tight spots quite easily. The Obsidian Statue is a very strong Epic. It is a 4/8 Taunt which has Lifesteal and a Deathrattle of destroying a random opponent minion. Another board wipe comes from the Death Knight Anduin. The battlecry is insane as it wipes out all the minions that have the power of 5 or more. This will definitely get rid of those big minions while protecting your own which is at 4 or lower. You will have a harder time-fighting Aggro classes if they get to blitz you early on. The trick to surviving aggro classes is by stalling a lot with the AoE spells I mentioned earlier like the combo of Pint Sized and Shadow Word Horror. You can also combo with Spirit Lash and Bloodmage Thalnos, granting you a board wipe and also a draw. Holy Nova allows you to trade other minions first then healing them up while clearing the other side of the board. Choose targets carefully when using Potion or Madness to let their own minions wipe each other and if all else fails, use Dragonfire Potion to reset the whole board. Once you outlast your opponents in 7 turns, by turn 8, you can start putting very big taunts in your side of the board like The Lich King and Obsidian Destroyer. This will be the start of your dominating phase as your aggro opponents would have a very hard time removing these durable minions and the Lich King will provide you a lot of free playable Death Knights in your hand. Elise Trailblazer will also provide you playable cards by giving you an Ungoro Pack you can open in the game. It also has a very good cost of 5 mana with 5/5 attack and health, just like Raza. However, if you do not have access to Elise, a good substitute would be Harrison Jones as it has somewhat the same stats but with a different ability. Do not be scared to experiment with this list and find the perfect synergy for you. 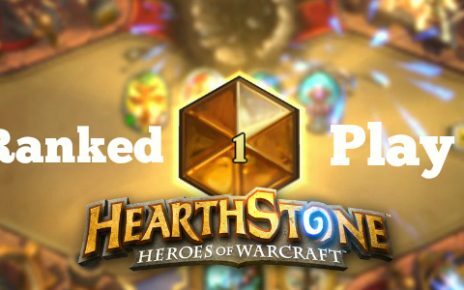 At about 50 games, you will become proficient at playing this Hearthstone control deck and you would start pumping win streaks and climb the ladder very quickly. Just remember, however, always have fun when playing and do not tilt if you ever get a bad hand at the start as you can always turn this around with the Highlander Priest. Good Luck!! Skrill Esports Betting – How to Place Bets with Skrill?